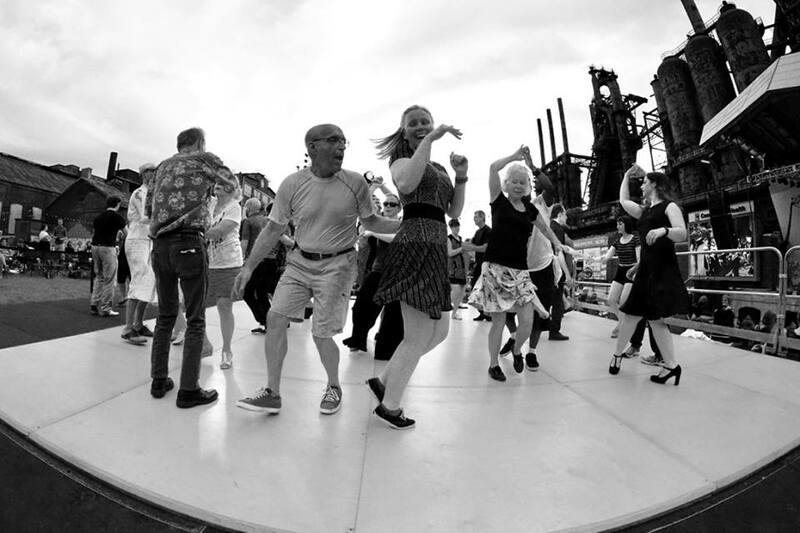 For three nights during the summer at Levitt Pavilion SteelStacks, concertgoers put on their dancing shoes and mid-century garb for Southside Swing, a multi-day celebration featuring free swing and hot jazz music, plus a temporarily-installed dance floor on the lawn! Dancers of all ages move and groove to the high-energy sounds of bands like New York’s Parisian jazz outfit, Avalon Jazz Band, and Evan Sherman Big Band, the brainchild of Ron Carter and Wynton Marsalis collaborator, Evan Sherman. Complete with interactive dance lessons to complement each night, this special weekend of Levitt SteelStacks programming formed out of a partnership with Lehigh Valley’s Gas House Dance Hall, a dance company that specializes in swing, jitterbug, burlesque and many other vintage dance traditions. “The Gas House has enjoyed its presence at SteelStacks tremendously,” said Robyn Shannon, who helped form the partnership between Levitt SteelStacks and the Gas House Dance Hall. “The wildly successful festivities have attracted dancers from Philadelphia and New York City, expanding both Gas House and SteelStacks’ presence.” Similar to how the birth of Levitt SteelStacks injected life into a neglected, industrial space, the Gas House Dance Hall was constructed inside a former service station, established in the 1930s. As Levitt SteelStacks continues injecting energy into the ArtsQuest campus through free concerts every year, Gas House Dance Hall’s dedication to keeping old-school dance traditions alive keeps people coming back for more, every year. Levitt Pavilion Denver launched its inaugural season of free concerts in 2017 and has hit the ground running—after just one season, it was nominated for Pollstar’s Best New Concert Venue, named Best New Non-Profit Venue by Denver’s premier alt-weekly, Westword, and recognized as Coolest New Venue by 5280 Magazine, among other accolades. This is in part due to high-quality community partnerships, such as the BandStart program. Formed in conjunction with Denver music education center, Swallow Hill, the program provides free music lessons for children in Denver’s Ruby Hill/Godsman neighborhood. 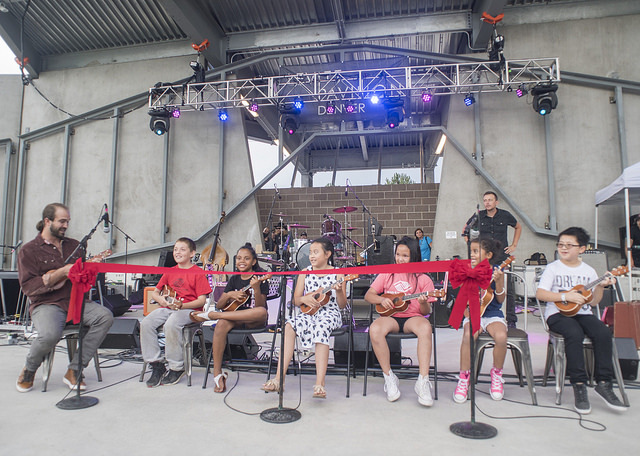 Last year, for the venue’s grand opening night, Levitt Denver teamed up with national music chain Guitar Center to gift 20 promising students with their first ukuleles, and invited them to open for alt-country band Slim Cessna’s Auto Club. Showcasing a community partner on opening night—BandStart was the first performance ever on Levitt Denver’s stage!—sent a welcoming message to the community and neighborhood and has helped inspire additional partnerships. “BandStart has proven to be a way we can tangibly and creatively give back to the Ruby Hill neighborhood and the children who live here,” remarked Levitt Denver’s associate director, Andy Thomas. “We were able to provide these children with their first instrument, and the thrill of playing it on stage for the first time.” The BandStart partnership is a testament to the local community’s role in Levitt Denver’s programming, ensuring that music—whether it’s performance, education or live concerts—is truly accessible for people of all ages and backgrounds. 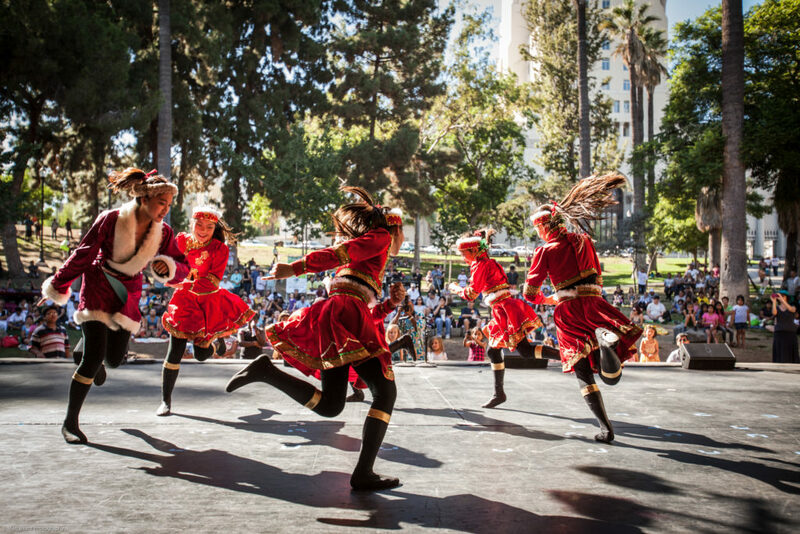 Every year, the Levitt AMP [Your City] Grant Awards empowers up to 15 nonprofits to transform underused public spaces through free concerts, with each Levitt AMP grantee producing and curating a series of 10 free concerts in their communities across the country. By using a public voting process to determine the winners each year, the Levitt AMP program is a community-driven affair from the start. As such, Levitt AMP grantees value community participation and partnerships each step of the way. In 2017, for example, Levitt AMP St. Johnsbury grantee Catamount Arts invited the Catamount Pipe Band to perform on stage. 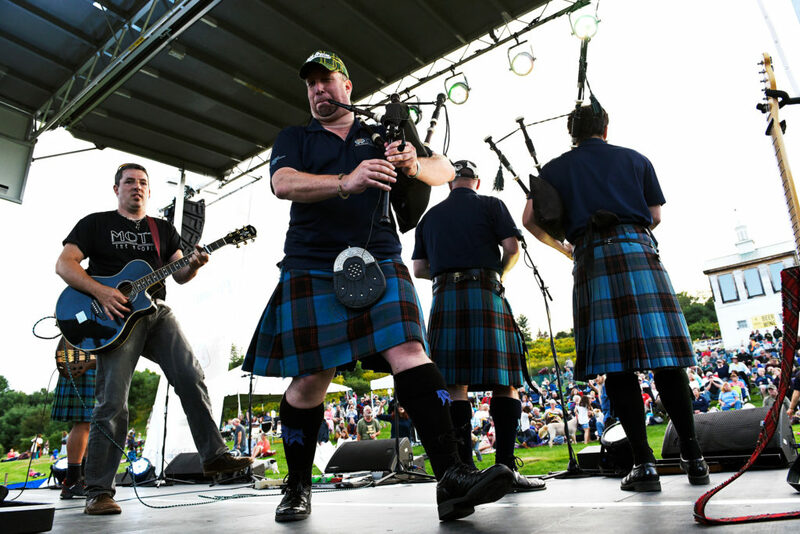 As Vermont’s premier Scottish bagpipe band, this gave the Levitt AMP St. Johnsbury Music Series the opportunity to pay homage to Vermont’s heritage of Celtic culture. 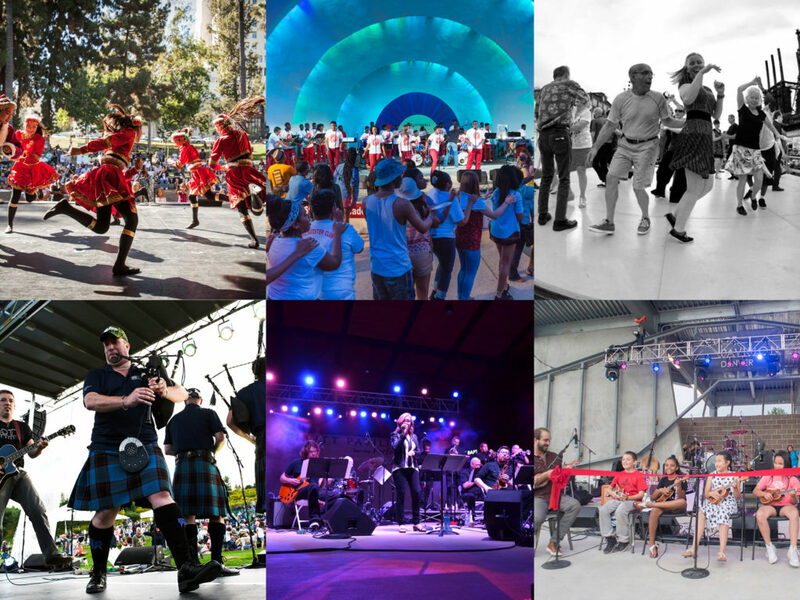 Whether it’s the expansive urban landscape, or a small town of a few thousand people, Levitt’s focus on community-driven programming makes Levitt venues places for cultural exchange and amplified community pride. Celebrating diversity, showcasing local treasures and ensuring access to high quality music are core values at Levitt, and each free Levitt concert series is a true reflection of these ideals. 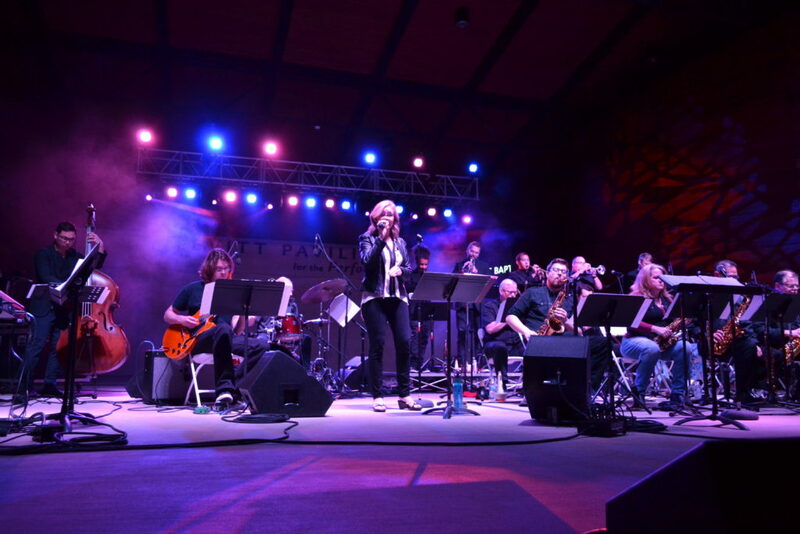 As music lovers continue to come together at Levitt concerts every summer, giving the community center stage season after season has become a special part of the Levitt experience. 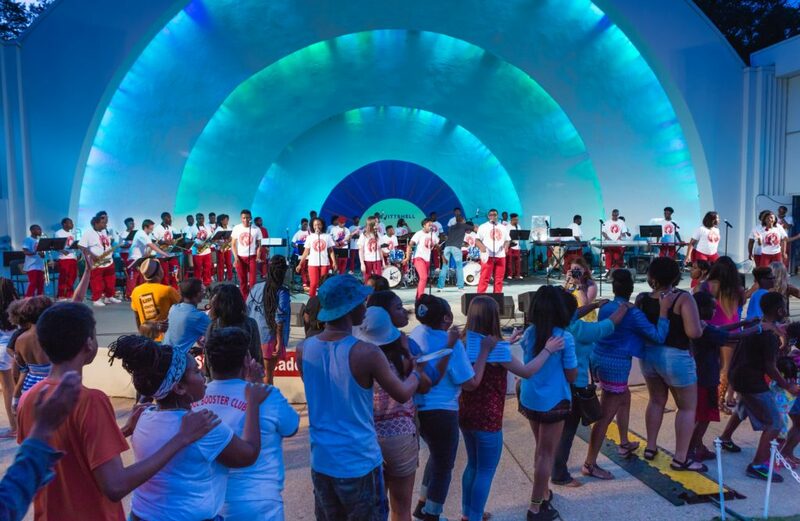 Such wonderful happenings at the Levitt Pavilions and Levitt Shell….this is what happens when your mission is building community thru music and you are successful…..partnerships with other local organizations blossom…in Memphis alone we have partnerships and outreach opportunities with New Ballet Ensemble, Stax Music Academy, Memphis Library System, Memphis Symphony, Opera Memphis, Rhodes College, Memphis College of Art just to name a few…..we are proud to be a member of the Levitt Foundation Family that does so much to help Americans find common ground..coast to coast and in between.